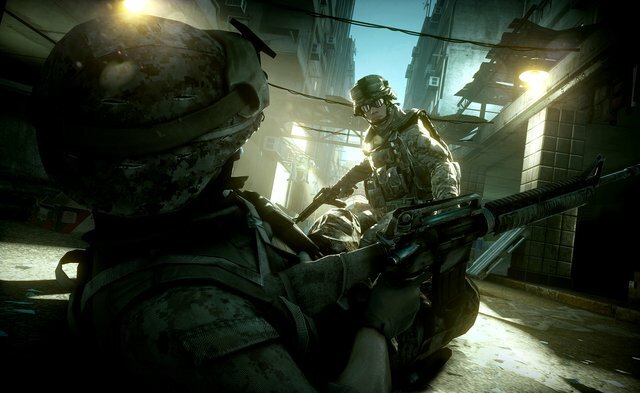 Battlefield 3 as we know it is definitely going to be bigger and better than it's predecessors and will compete with all-time favourites Call of Duty series Modern Warfare 3. In a recent PlayStation blog post by Tommy Rydling, junior product manager at DICE, he revealed that the mechanics used in BF3's co-op is the "perfect blend between the strong narrative from single player and the open-ended action from multiplayer", explaining that they aimed to "create a totally new flavor of Battlefield"
"Co-op follows the same philosophy as our award-winning multiplayer game mechanics. Teamwork is practically never forced upon you, but working together will make things much easier and — more importantly — lead to victory." According to Rydling, co-op missions will be varied where you will face numerous challenges in different situations in which you and your buddy would get to play several characters. "One mission can have you piloting a helicopter while your friend is the gunner, for example. Other situations have one player disarming a bomb and the other one defending him. Or (as you could see in our press conference playthrough at gamescom) you can do tandem kills to avoid detection. There are also other mechanics requiring teamwork, such as spotting enemies to make large firefights easier, or the essential concept of reviving one another to avoid ending up at the game over screen." "The co-op missions in Battlefield 3 all take place in the same world as the single-player campaign, and follow a unique series of events that lead up to an explosive finish. Players in co-op will take the role of soldiers that are not tied to any one particular branch of the Armed Forces. This is an intentional design decision to allow for a vast variety in gameplay in the different co-op missions."